Well, I’m back from my week-long hiatus. I hope you all had a chance to check out Lesley Carter’s Bucket List Publications website. If you haven’t yet, you should. I think it’s a great concept. For those who don’t feel like reading the entire entry, I’d like to mention that one of the biggest highlights of her site is that one of the goals is to sponsor an item off of someone’s Bucket List. Right now there’s a free skydiving contest that’s running. Just check the website for more details. 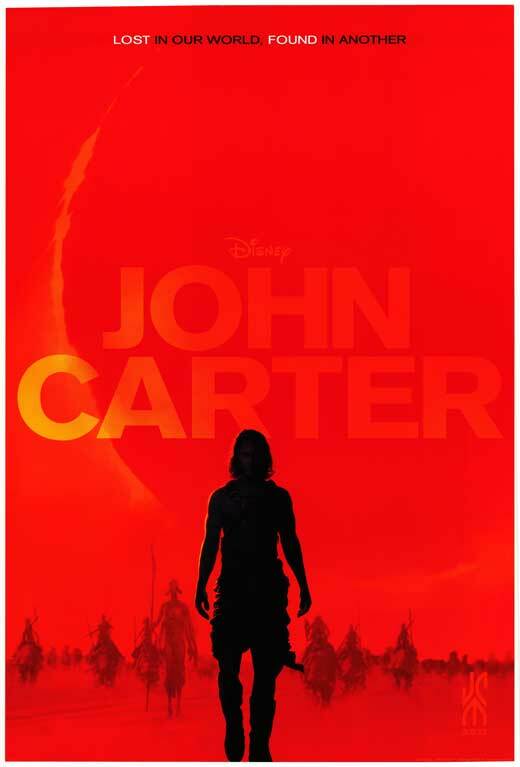 Anyway, now that I’m back, I just thought I’d kick off the week with my thoughts on a movie that I saw over the weekend, John Carter. In my opinion there really wasn’t anything worth spoiling in this movie, so I’ll just cut straight to what I thought about it. This was a very Avatar (2009) wannabe movie, I think, to some degree. I also was extremely unimpressed with the acting and the storyline. It all just seemed so incredibly random. I think Disney is better off sticking to animations, and even then I feel like they have a bit of a hit-or-miss track record. Visually, this movie wasn’t incredibly impressive either. Nothing really popped out at me, and there was maybe only one or two scenes that I found to be even remotely breathtaking. Sadly, I didn’t find the movie to to anything other than incredibly predictable and long. The only audience I can see really liking this is maybe the 10 and under crowd, but for anyone older, it’s easy to see this movie as a waste of precious time that can be put to far better use doing other things. I think the only part that was even the slightest bit entertaining was at the very beginning, when the character John Carter tries to communicate with this random green alien with four arms and tusks. The brief comic dialogue was about the only thing that I really laughed at all movie, which I must say is pretty bad, given that I can usually easily find something to laugh at. Well, I think I’ve got a fair amount of topics to cover over the next few days, so see you all again, real soon! Despite occasional moments of silliness, the old-fashioned sense of adventure and brilliantly rendered aliens elevate this above other derivative big-budget sci-fi fare. I still wished that Kitsch did a lot better in this lead role but he was only there for eye-candy really. Good review. What also stinks is that this flick probably won’t make back any of its 250 million dollar budget. I agree. I’d be surprised if it did.